Monodisperse with narrow size distributions. Electron microscopy, optical spectroscopy, and hydrodynamic diameter data provided with every batch. Available with a wide variety of surfaces. Silver nanoparticles are one of the most commonly utilized nanomaterials due to their anti-microbial properties, high electrical conductivity, and optical properties. Silver nanopaticles are widely incorporated into wound dressings, and are used as an antiseptic and disinfectant in medical applications and in consumer goods. Silver nanoparticles have a high surface area per unit mass and release a continuous level of silver ions into their environment. 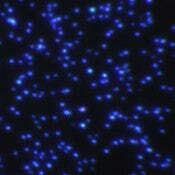 The silver ions are bioactive and have broad spectrum antimicrobial properties against a wide range of bacteria. By controlling the size, shape, surface and agglomeration state of the nanoparticles, specific silver ion release profiles can be developed for a given application. Incorporation of silver particles into plastics, composites, and adhesives increases the electrical conductivity of the material. Silver pastes and epoxies are widely utilized in the electronics industries. Silver nanoparticle based inks are used to print flexible electronics and have the advantage that the melting point of the small silver nanoparticles in the ink is reduced by hundreds of degrees compared to bulk silver. When scintered, these silver nanoparticle based inks have excellent conductivity. Silver nanoparticles have unique optical properties because they support surface plasmons. At specific wavelengths of light the surface plasmons are driven into resonance and strongly absorb or scatter incident light. This effect is so strong that it allows for individual nanoparticles as small as 20 nm in diameter to be imaged using a conventional dark field microscope. This strong coupling of metal nanostructures with light is the basis for the new field of plasmonics. Applications of plasmonic silver nanoparticles include biomedical labels, sensors, and detectors. It is also the basis for analysis techniques such as Surface Enhanced Raman Spectroscopy (SERS) and Surface Enhanced Fluorescent Spectroscopy. There is increasing interest in utilizing the large scattering and absorption cross sections of plasmonic silver nanoparticles for solar applications. Since the nanoparticles act as efficient optical antennas, very high efficiencies can be obtained when the nanoparticles are incorporated into collectors. We guarantee everything we make 100%. If for any reason you are dissatisfied with a material you've received, we will do everything in our power to make it right. See our Guarantee Policy for more information. Each batch of silver nanoparticles is extensively characterized using techniques including transmission electron microscopy (TEM), dynamic light scattering (DLS), zeta potential, and UV-Visible spectroscopy. In addition to ensuring that every batch of nanoparticles meets our stringent quality control requirements, customers are provided with batch-specific specification sheets containing representative TEM images, sizing data, hydrodynamic diameter measurements, zeta potential analysis, UV-Visible spectrum, and solution pH. Surface chemistry and suspension buffer details are provided for each material, and no proprietary coatings or mystery chemicals are used. Silver nanoparticle products are available with a range of capping agents including citrate, tannic acid, polyvinylpyrrolidone (PVP), polyvinyl alcohol (PVA), silica, and amine-terminated silica. Silver nanoparticles are provided in two concentrations, NanoXact (0.02 mg/mL) and BioPure (1 mg/mL). 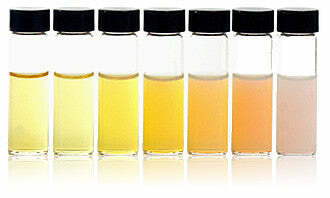 At NanoXact concentration, the silver particles are a pale orange or yellow color in solution depending on their size. 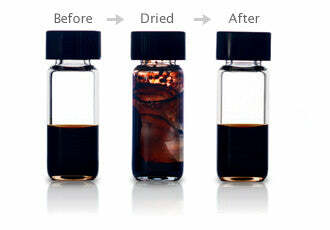 The BioPure formulation is 50-times more concentrated, extensively purified to remove residual reactants, and opaque. The highly concentrated BioPure formulations are ideal for applications that require high concentrations or low residual reactants including nanotoxicology, environmental studies, and lateral flow assays. Large silver nanoparticles may settle out of solution, but are easily redispersed by simply shaking the storage vial. Due to their small size and low mass, once nanoparticles bind together it is often impossible to separate them. Consequently, most dried silver nanopowders that are resuspended consist of clusters of 100's of individual nanoparticles. For many plasmonics and biomedical applications, this agglomeration significantly degrades performance. At nanoComposix we have developed custom processing techniques that allow us to concentrate and purify nanoparticles without inducing agglomeration. The particles can be transferred into a variety of different solvents to enable their integration into a wide variety of systems. In addition, we have developed a surface stabilization technique that allows us to produce dried silver nanoparticles that can be redispersed into individual, monodisperse nanoparticles. Our nanoparticle chemists will address your technical questions and help you select the optimal nanomaterial for your application. The following table links nanoparticle size with mass, atomic molarity, mass percent, particle concentration, and peak optical density for both NanoXact and BioPure solutions.